Situated at the famous Albert Dock in the centre of the famous Liverpool Waterfront World Heritage site, The Collonades are part of the UK’s largest group of Grade 1 listed buildings and the apartments within them represent the most prestigious address in the North of England. 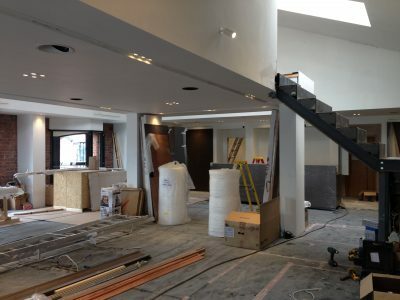 The work undertaken by APCO involved knocking through from two existing apartments to make them into one large penthouse, overlooking the River Mersey. Due to the building being listed, we had to work around certain restrictions and ensure that all the work was done to a high end specification. 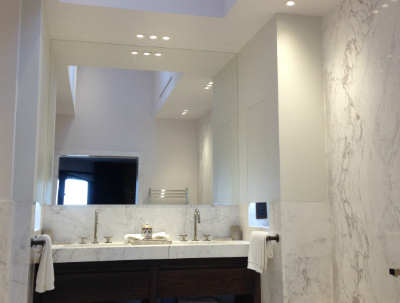 We installed full power and an LED lighting system, all of which were controlled by a home automation system. 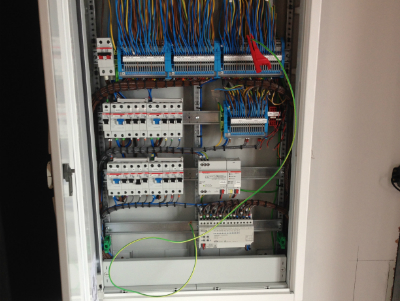 We worked alongside Intecho Ltd who are specialists in these control systems. Finally, we adapted the existing fire alarm within the building to ensure that this covered the new penthouse.